Description: ZDC is one of 21 regional authorities in Croatia, comprised of 34 cities and municipalities, and is responsible for affairs of regional importance on its territory, including education, health, physical planning, development, economy, etc. In the area of social welfare services, it yearly finances 10 civil sector programmes aimed at the elderly, disabled and chronically ill. It also finances national and local programmes of out-of-institution elderly care, such as “Help and care in homes of the elderly” and “Hello help”, as well as “Day care for mentally ill adults” programme. Since 2008, “Plan for Health” local programme is implemented within the Network of Healthy Cities and Healthy Counties based on 5 public health priorities, elderly care being 1 of them. For planning and implementing activities in the area of promoting and protecting health and social welfare, ZDC uses several multidisciplinary teams of highly qualified experts, such as “Team for Health” and “Council for Health”. Description: The main competencies of the Olomouc region are the regional development and planning for its municipalities and their inhabitants, regional democracy and EU financial and project management. It has established 29 contributory corporate bodies which provide social services, it grants financial support also to other social services providers (non-profit organisations) which care about the elderly, disabled and socially excluded citizens as beneficiaries of these services and supports projects of these providers, helps its citizens maintain their independence and preserve their existing style of living in their natural environment by providing community care services as well as day hospital services so the impact of its activities in this field is very broad. Olomouc region administrates regional EU programmes 2007-2013. In 2008-2011 a non-investment project “Providing accessibility of distinguished social services in the OR” was realised. Description: The main competencies of the Regional Council of Päijät-Häme, which are the regional develo pment and planning organisation for its 11 member cities and municipalities, are in regional development and planning including social affairs like elderly care, regional democracy and EU financial and project management. The Regional Council of Päijät-Häme administrates regional EU programmes 2007-2013/2014-2020 and has the managing responsibility for the whole Southern Finland ERDF programme 2007-2013. The Council also participates in the management work of INTERREG programmes 2007-2013/2014-2020 (Baltic Sea programme/INTERREG IV/VB and Central Baltic Programme/INTERREG IV/VA) and takes part in the management of the South-East Finland – Russia ENPI/ENI CBC programme. Description: The main competencies RMK are the regional development and planning for its 31 municipalities and their inhabitants, regional democracy and EU financial and project management. Cooperation with non-profit / non-governmental organisations is important to care about the elderly, disabled and socially excluded citizens to try to maintain their independence and preserve their existing style of living in their natural environment by providing community care services as well as day hospital services. Description: The Local Government of Baranya County manages regional development, rural development, spatial planning, coordinating and administrative tasks. It focuses in particular on the exploration of the county’s economic facilities and opportunities. It is constantly monitoring the development of the employment of the county’s population, helping to improve the national and ethnic minorities’ standards of life and managing the cross-border development programmes of the county and the region. The county has well-developed educational and social network exceeding the national average as well as cultural institutes and architecture with international reputation. However, as a result of the mining industry’s breakdown over the past 20 years and the proximity of the Balkan wars the structure of the county’s economy needs restructuring by now. Description; Talsi is an administrative centre of Talsi district. Talsi Municipality (TM) consists of 4 cities and 14 rural territories. In TM there are the Committee of Social aid and Health Care. The well-known most active non-governmental organisations in Talsi district are: Talsi Regional Fund, Foundation Talsi Centre of Crisis for Women and Children, Pensioners’ Association and Association of the Disabled. TM provides social services through several different institutions. The Social Department provides care at home services for persons because of their functional disorders or old age. For elderly who need daily care such social services are provided by pension “Lauciene” (also an institution of TM). Talsi municipality provides further social services. In TM there are several projects realised in the field of social services. practical knowledge, family members for their work with the disabled. It has also been an organiser of conferences in Kaunas (2009) and in Vilnius (2010), together thewith Gerontology Clinic of Kaunas Medical University and University Neurology Clinic of Vilnius. Kaunas City Municipality has authorised “Amžiaus žiedas” – with a Letter of Authorisation (dated 29/8/2013) – to act as legitimate partner in the project representing Kaunas City Municipality, local authority located in Kaunas (LT). Description: Silesian Voivodeship Regional Centre of Social Policy (ROPS) is a unit of local government that carries out tasks in the field of social policy in the region. The area of the Centre is Silesia, the seat of the city of Katowice. 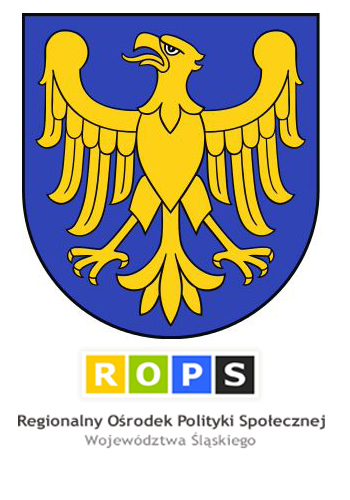 ROPS is responsible for the creation of social policy in the region, inspires and promotes new solutions in the field of social welfare, diagnose and monitor the social problems in the region, as well as coordinating action to the social economy sector in the region and health promotion – in prevention and alcohol problems and conduct activities for persons with disabilities. The main task is also to lead the intervention adoption centers and regional care and treatment. Description:The General Directorate for Social Assistance and Child Protection Cluj promotes, organises, assures and supervises all the system and the activities of social protection for children, families, lonely persons, persons with handicap, practically for all those who need it, conforming with the governmental social assistance politics and strategies, by framing and applying action programmes corresponding to the needs of the population. This Directorate has 2 departments: The Protection of the Child and The Protection of the Adult, with specific attributions in every field of activity. All the activities concern institutionalized and non-institutionalised persons. The department for adults try to prevent and confute the situations of risk for the persons in difficulty and provides specialized services for those who are not able to assure and have a normal and decent life by their own powers. Description: Provincial Secretariat for Health Care, Social Policy and Demography perform tasks of the provincial administration in the field of health care. It also performs tasks in the field of social protection (families and children, pregnant women, mothers on maternity leave, single parents with children, the young and the old, legal protection of family and custody, veteran and disability protection and civilian invalids of war). It funds implementation of the social protection programmes and activities of disability, social-humanitarian organisations that contribute to improvement of socioeconomic and social status, rehabilitation and socialisation of old persons and other persons in need of social assistance. It also undertakes activities aimed at family planning and propose measures to encourage the birth of children in the AP of Vojvodina. The Secretariat cooperates with humanitarian and expert organisations, unions and associations in the field of health care and social policy.